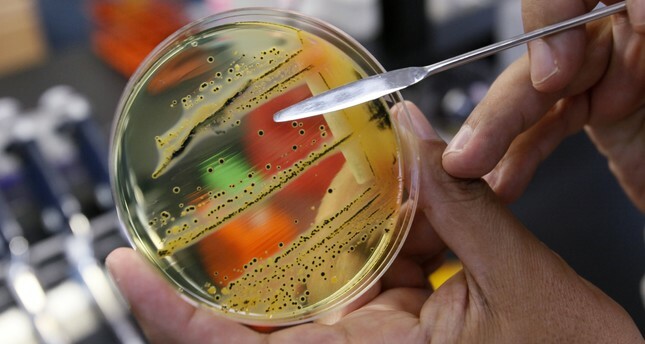 The UN's health agency urged the world on Monday to create new drugs to tackle 12 killer superbugs which are resistant to antibiotics and threaten an explosion of incurable disease. The "priority pathogens" include germs that cause deadly infections of the bloodstream, lungs, brain or urinary tract, but do not respond to an ever-longer list of medicines. In more and more cases, none of the existing drugs work. "Antibiotic resistance is growing, and we are fast running out of treatment options," said Marie-Paule Kieny, assistant director-general at the World Health Organization (WHO), which published the list. "If we leave it to market forces alone, the new antibiotics we most urgently need are not going to be developed in time." Governments should put in place policies to boost public and private funding for drug research and development against the listed microbes, the WHO said in a statement. The agency previously warned that if nothing is done the world was headed for a "post-antibiotic" era in which common infections and minor injuries become killers once again. Bacteria can develop drug resistance when people take incorrect doses of antibiotics. Resistant strains can be contracted directly from animals, water and air, or other people. When the most common antibiotics fail to work, more expensive types must be tried, resulting in longer illness and treatment, often in hospital. The germs on the WHOs list were chosen based on the severity of the infections they cause, how easily they spread, how many working drugs remain and whether new antibiotics to kill them are already being developed. The list is divided into three categories of priority: critical, high and medium. The top priorities are superbugs resistant to carbapenem antibiotics -- a last-resort treatment for life-threatening infections often spread in hospitals, nursing homes and among patients who rely on ventilators and catheters. In January, an American woman died of an infection -- resistant to all 27 available antibiotics -- caused by a germ called Enterobacteriaceae which is on the WHO's critical list. The second and third tiers contain drug-resistant bacteria that cause "more common" diseases such as gonorrhoea and salmonella-induced food poisoning, said the WHO. The list will be discussed with health experts of the G20 group of major economies in Berlin this week, it added. "New antibiotics targeting this priority list of pathogens will help to reduce deaths due to resistant infections around the world," said Evelina Tacconelli of the University of Tuebingen in Germany, who helped draw up the index. Tuberculosis was not listed because well-funded programmes already exist to develop new antibiotics, said the WHO.